normal context, we interpret it according to our own social customs and beliefs. 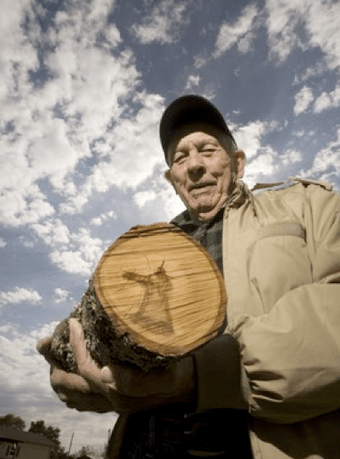 It is hardly surprising, therefore, that when Bill Johnson of Midway, North Carolina noticed a strange marking in the interior of a downed tree, he thought it resembled Jesus Christ. complete with robe and halo. It all started about 10 days ago, Johnson said. A large limb had fallen from a cherry tree in his front yard. The landlord came and cut the broken limb into smaller pieces, stacking the limbs by a bench next to the tree. Johnson said he first saw the image when he was out walking his dog, Pogo. And that, really, is the point. Pogo wouldn’t see the same image as Bill, and neither would just about any of Britain’s Baby Boom generation, who would immediately recognise Dr. Who’s most famous adversary. 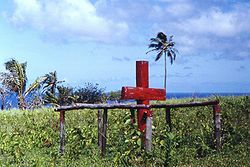 In fact, certain of the indiginous tribes of Papua New Guinea, who adhere to the Cargo Cult, would actually recognise…but that’s another story. Too true… We only see what our mind wants us to see. Next PostNext Amazing Success of Police Quiz! !